My family took the bullet train from Fukuoka for a day trip to Kumamoto during our June 2017 holiday in Kyushu. Kumamoto is a large city with a population of around 740,000 people. Most tourists pass through on their way to Mt. Aso or some of the nearby national parks. 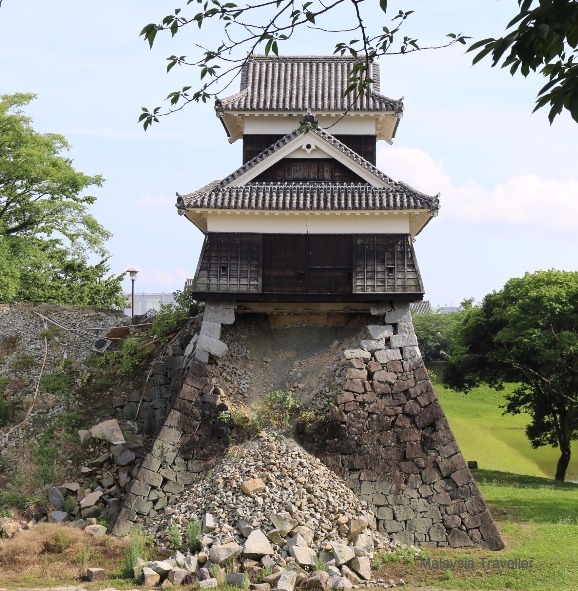 The city itself is not such a popular tourist destination and it does not help that the serious Kumamoto earthquake of April 2016 caused considerable damage, including to historic Kumamoto Castle which was badly affected. 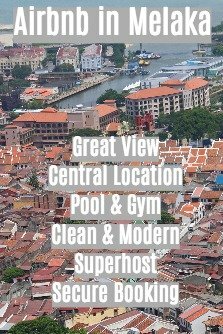 Nevertheless there is still plenty to fill a day trip and here are some of the attractions you could visit. This historic castle is regarded as one of the top three castles in Japan along with Himeji Castle and Matsumoto Castle. It is old, dating back to 1467, although the main keep is a modern replica, built in 1960. It covers a wide area with multiple turrets, towers and gates. At the time of our visit it was not possible to enter the castle grounds due to ongoing work to repair earthquake damage. The castle will not be fully restored for another 20 years (the Japanese like to do a thorough job!). Presumably parts of it will be reopened to the public before then but in the meantime you can walk around the exterior and admire its classic design. This beautiful Momoyama style Japanese garden was probably the highlight of my trip to Kumamoto. 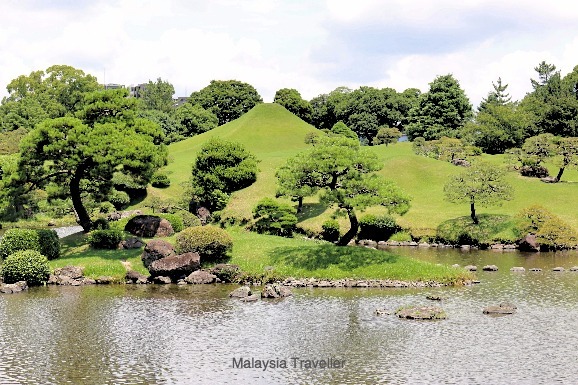 Construction of the garden started in 1636 under the direction of Tadatoshi, the third Lord of Hosokawa. He selected this site for his tea retreat because of the pond which is fed by a spring. The spring water flows here from Mt Aso via underground channels and is excellent for making tea and said to boost longevity. The landscaping features are supposed to represent the 53 stations of the Tokaido Road that ran from Edo to Kyoto, and include a miniature Mt Fuji. A circular walk around the pond takes around 20 minutes. On the way you pass the Izumi Shinto Shrine built in 1878, a Noh Theatre where performances are staged during spring and autumn, and the Kokindenju Room a simple tatami tea house overlooking the lake. Imperial Prince Toshihito was inspired to write classical ‘waka’ poetry here. 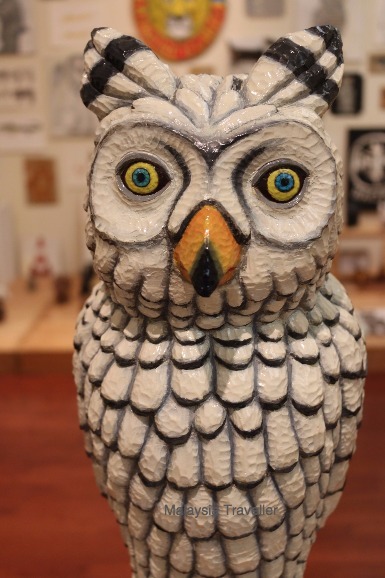 You can find details of timings, admission prices and location here. Located in the heart of the city surrounded by the main shopping areas, this museum provided a nice oasis away from the bustle and summer heat. 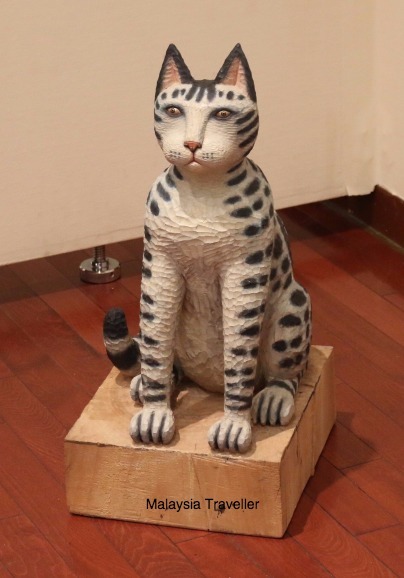 During our visit the museum was featuring an exhibition of whimsical animal carvings by Misawa Atsuhiko, one of Japan’s most popular modern sculptors. Other attractions in Kumamoto City include a zoo, which we thought was rather disappointing but they were in earthquake recovery mode so we can understand that they were not at their best. 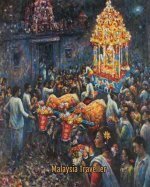 Of course, being Japan, the other highlight is food and shopping of which there is ample choice. 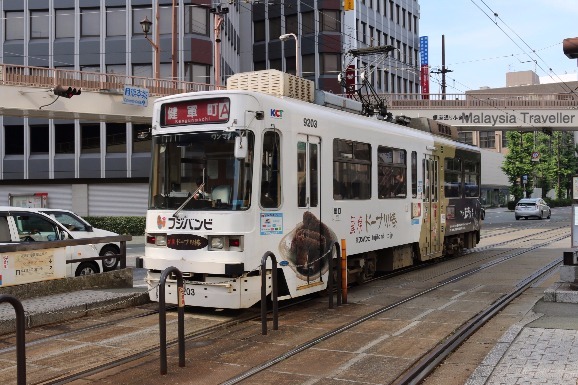 We bought a Kumamoto City Tram 1 Day Pass for ¥500 each (adult) from the information desk at Kumamoto Railway Station. It is very easy to use with instructions in English.